How Many Hyperlinks Can We Add On A Single Page? Google often tends to treat links on a page seriously. The number of outbound links on a page can, negatively or positively, effect the overall standing of your page – this much we vaguely know from experience. But how exactly does Google see the links on your page? We've talked a lot about inbound links to a page, but not much about outbound ones. 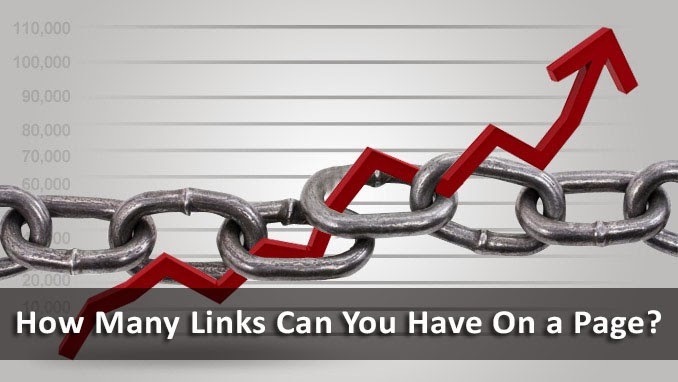 So today, let’s investigate the limitations on the number of outbound hyperlinks you have on your webpages. So, is there really any limitation on the amount of links you can have on a page? You can clearly guess that too many can’t be any good. But what does Google have to say about the matter? To start with, let’s have a look at some background information. A few years back, web pages used to be simpler, and GoogleBot and Google’s indexing system would truncate at 100 or 101 Kilobytes, meaning they would only read the first 101 Kilobytes of a webpage, and anything beyond that wouldn’t get indexed. The webpages used to be simple, but of course, there were resource constraints too at that time. But the web has changed! Hello dear! you are doing very well.i am a regular viewer of this blog. i want to ask a question to you please tell me the answer. i have a blog on blogger.com. my blog address is onlineitteacher.blogspot.com. i want to show many posts on a single static page in blogger. when we want to show a single post on a static page or web address page we usually give url of any of our post. so in this way our just one post is showing on a static page or web address page. but i want to show many posts on a static page or web address page in blogger. please tell me what should i do to show more than one posts on a page in blogger. please tell me as soon as possible. i will be very thankful to you for your this kindness. Everyday u give us so many tips for blogger and other sites I really appreciate for that. But do you know for earning point of view we all bloggers are having common issue that your visitors can't see your adsense ads on opera mini. This was pretty helpful. In this context, I ahve a question if that does not sound silly. Do the hyperlinks to the posts of the same blog affect the site as well? I mean, I am a beauty blogger and sometimes we do product round ups and link them back to our own reviews. Does that affect anything as well? That's really cool, we can improve few things in content.